Cessna VOR Antenna Coupler / Splitter. P/N CI-1102-TNC or S-2212-1. 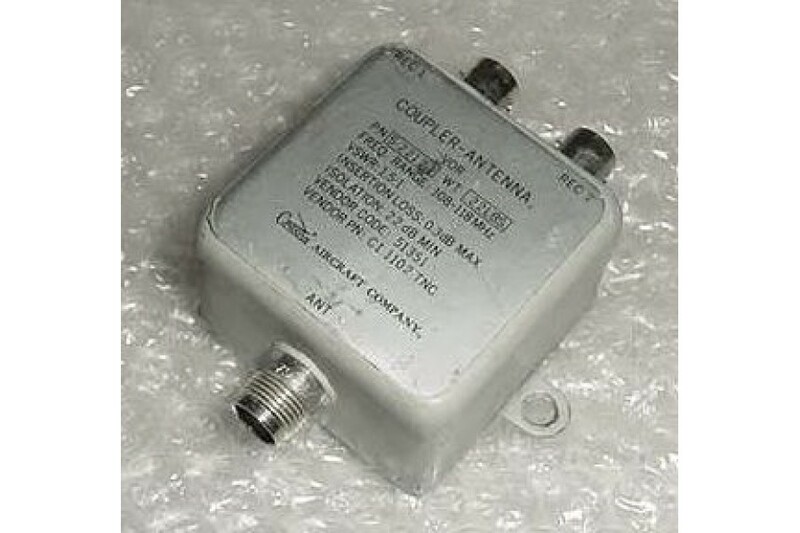 Cessna Aircraft VOR Antenna Coupler / Splitter. Manufactured by Comant industries. P/N CI-1102-TNC or CI1102TNC. Cessna P/N S-2212-1. It was removed from a salvage aircraft.